Hogarth’s Pest Control specializes in Mosquito removal. According to the CDC, Mosquitoes kill more people per year around the world than any other living creature. In Michigan we have roughly 60 different species of mosquitoes; some of which are vectors for diseases such as West Nile virus, St. Louis Encephalitis, and Eastern Equine Encephalitis. 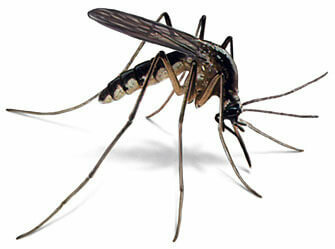 There is no way to eliminate all of the mosquitoes on one’s property, but they can be controlled. One of these tools is to larvicide any standing water around a home that cannot be emptied out. 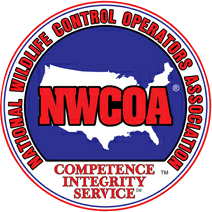 This areas may include ponds, catch basins, ditches, or wheelbarrows of standing water, etc. Another tool is to chemically treat the barrier of the property or area in which control is wanted. The best way to treat for mosquitoes is to use a UVL (ultra low volume) sprayer, such as a mist blowing backpack. It does not take a lot to kill a mosquito and it is important to get the products in the correct spots to reduce the population effectively. Hogarth’s also offers a green mosquito treatment and program for our customers who are cautious about chemicals on their property. We use a cedar oil and cinnamon product in combination with larviciding if stagnant water is nearby. If you’re not a prime candidate for a barrier mosquito treatment, consider purchasing a fan for the deck, patio or lawn. Mosquitoes are not great fliers, so a fan swathing back and forth will keep them out of the area you’re trying to enjoy. This will make your BBQ or family gathering much more enjoyable while also being eco-friendly.